Investment banks will use public cloud 50 per cent more in the next five years. Investment banks are going to use public cloud 50 per cent more in the next five years, according to a new report by global IT consultancy firm GFT. The report is saying the increase in adoption is driven by greater awareness in the benefits of the public cloud. It is being said that cost reduction isn’t the primary driver for this adoption, but instead – increased agility and flexibility of the business. The results may result in the introduction of new measures like regulatory reporting, as well as the development of innovative client applications. The areas in which public cloud should see most adoption is development and testing, front office and risk departments. New and planned use cases include high-performance computing and big data. 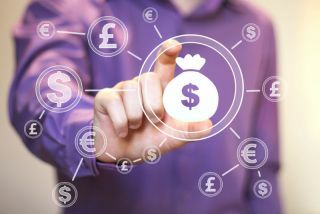 “The shift to public cloud in investment banking has been slow to start, but we see that banks are now willing to embrace the transformation and reap the significant benefits of becoming cloud native,” said Andrew Rossiter, Head of Technology Services at GFT.